HONG KONG, Nov. 21, 2017 /PRNewswire/ -- Toppan Vintage, a leading international financial printing, communications and technology company and Intralinks®, the world's leading Virtual Data Room (VDR) provider, announced today a strategic partnership. 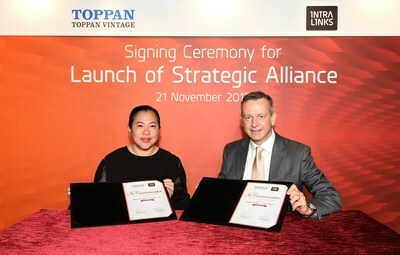 Intralinks and Toppan Vintage will jointly market and develop a suite of best-in-class services for deals, including the leading virtual data room, the industry's only auto-pagination typesetting system and traditional financial printing services. Combining the best VDR and financial printing and communications solutions will enable dealmakers and issuers to be more productive than ever. "We're incredibly excited with the Intralinks' alliance," said Yeo Chee Tong, President & CEO of Toppan Leefung Pte. Ltd., Toppan Vintage's parent company. "As one of the largest financial printing companies in the world, we're proud to now offer our clients access to the world's leading VDR provider. We're confident that this sharing of services and capabilities will have enormous benefits for both Toppan Vintage's and Intralinks' clients." The alliance is designed to support both organization's clients with cutting-edge solutions throughout the lifecycle of a deal and beyond, when issuers are public. Both existing and new clients will have access to a wide-range of full-service and SaaS solutions, including products for capital raising, due diligence, typesetting, SEC filings, printing and mailing. The combined services will equip these clients with secure, efficient and end-to-end collaboration during and after deals. "This is an excellent collaboration for both ours and Toppan Vintage's clients," said Leif O'Leary, CEO of Intralinks. "Our market-leading virtual data room platform allows our clients to use collaboration as a competitive advantage, and to further drive their company-wide gains in the areas of productivity, efficiency and innovation. The newly refocused Intralinks remains committed to bringing superior solutions to the global deal making community and we are proud to offer it to Toppan Vintage's clients. We look forward to working with Toppan Vintage and providing our clients with access to their exceptional financial printing capabilities." Intralinks' industry-leading virtual data rooms facilitate more than 6,000 transactions annually, serving a community of more than 4.1 million registered users. Intralinks' VDR is the leading solution for high-stakes, strategic transactions from M&A due diligence to partnership negotiation. Their VDR capabilities feature complete document security, self-launch data rooms, artificial intelligence and mobile access. Toppan Vintage, a leader in financial printing and communications solutions, is part of the Toppan Printing Co., Ltd., the world's largest printing group, headquartered in Tokyo with approximately US$13 billion in annual sales. Toppan Vintage has been a pioneer and trusted partner in the financial markets for three decades, serving the financial, legal and corporate communities with meticulous, responsive service and unparalleled local market expertise and capabilities. Toppan Vintage's expanding operations deliver a hassle-free experience for mission-critical content for capital markets transactions, financial reporting and regulatory compliance filings, investment companies and insurance providers. Learn more at www.toppanvintage.com. Issued on behalf of Intralinks and Toppan Vintage by Newell Public Relations. 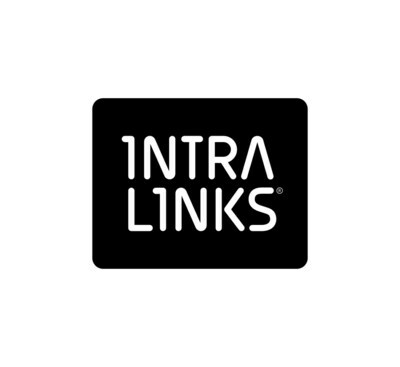 "Intralinks" and the Intralinks' stylized logo are the registered trademarks of Intralinks, Inc. © 2017 Intralinks, Inc.